Much of the talk about Thursday Night Football heading to Fox was about the supposedly improved schedule, which Fox execs pushed for and then talked up this spring as part of the $3 billion/five-year deal they struck (which sparked investor worries). Some of the biggest complaints about TNF (and biggest reasons given for low ratings) in previous years were about oversaturation with less-than-stellar games, but Fox is trying to change that impression. 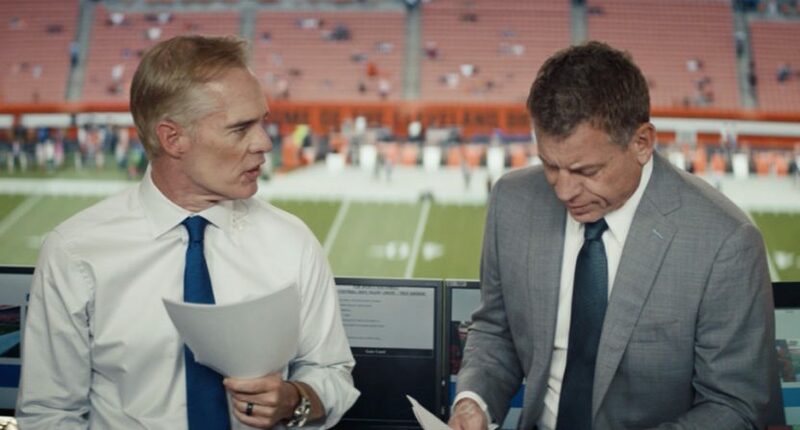 This week (Week 4 of the NFL season) sees the first TNF games on Fox (Week 1 was the kickoff game on NBC, Weeks 2 and 3 were NFL Network only), and that’s led to Fox and ad firm Wieden+Kennedy New York rolling out ads promoting their games. And the ads’ focus is definitely on talking up the Thursday Night Football schedule. So, there’s definitely a big focus on how “good” this schedule is. But how good is it really? Let’s look at the current records of teams in the six matchups emphasized in these ads; the 1-1-1 Vikings versus the 3-0 Rams, the 1-2 Patriots versus the 1-2 Colts, the 2-1 Eagles versus the 1-2 Giants, the 2-1 Panthers versus the 1-1-1 Steelers, the 1-1-1 Packers versus the 1-2 Seahawks, and the 2-1 Saints versus the 1-2 Cowboys. That gives a total record of 17-16-3, which is certainly better than some possibilities, but doesn’t necessarily scream marquee, especially when it gets to games where both teams have won less than half of their games (Patriots-Colts and Packers-Seahawks). Of course, it’s still early in the season, and there’s plenty of belief that the likes of the Patriots will turn this around, but some of these other teams might not. Beyond current records (not predictable when this schedule was assembled, of course), is this really better than the games on network TV (CBS and NBC) last year? That’s debatable. All of the teams here except the Vikings appeared on TNF last year (the Rams appeared on a game that was NFL Network only, but they also weren’t expected to be good). Yes, there probably are some matchups with more history and more ratings potential (Patriots-Colts seems better than last year’s Patriots-Bucs, and the NFC East rivalry between the Eagles and Giants is perhaps better than Eagles-Panthers), but last year had some seemingly-solid divisional games too (Bears-Packers, Cowboys-Redskins, Saints-Falcons). There’s a case this year’s TNF schedule for the Fox games is maybe a bit better (especially if you go from the standpoint of how these teams have done historically rather than how they’re doing this year), but it’s not a clearly lopsided victory. However, that may be more of an issue with the current NFL than with this particular schedule. The league as a whole is facing some challenges, with quarterback play in particular, and at the moment, it’s hard to find a big list of teams that are actually good and actually worth tuning in for. And while the TNF schedule may not all scream “must see,” it’s certainly not terrible when it comes to the games on Fox. In fact, our April analysis of all the Thursday games (Fox, NFLN and the kickoff game on NBC) versus the Monday Night Football schedule wound up picking the Thursday schedule head-to-head (by a slim margin, though).